Tired of those uncomfortable, narrow commode seats? 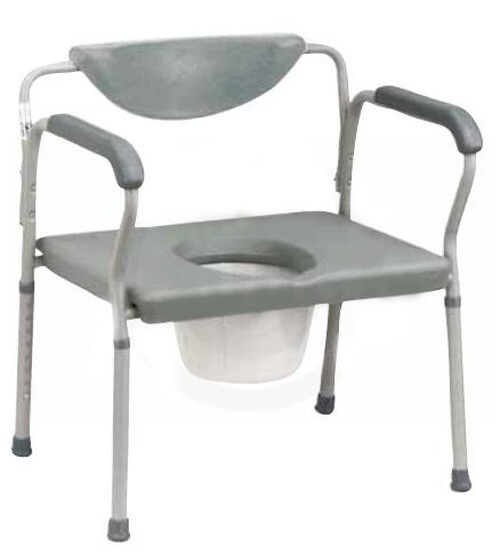 Drive Medical has produced this Deluxe Bariatric Commode with an extra large, durable "snap-on" seat. The seat snaps onto a durable, heavy duty frame made from grey powder coated steel tubing. The seat gives each patient a wide base upon which to rest comfortably. Comes complete with 12 qt. commode bucket, large padded backrest, and plastic armrests. All features are designed to provide maximum patient comfort and to be easily removed or attached as the situation dictates. 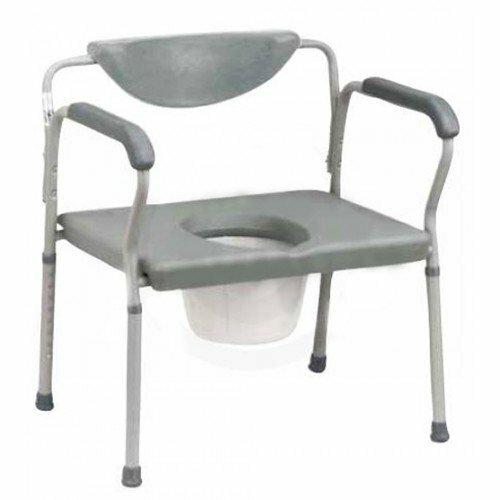 The Drive Medical Deluxe Bariatric Commode comes with a Limited Lifetime Warranty. When you empty the commode, does it pull out from the front or back? The collection bin pulls out from the front of the commode. Great size. Seat gives caregiver better access to help them. The thickness of seat makes it a bit high for shorter patients using a comfort height toilet.